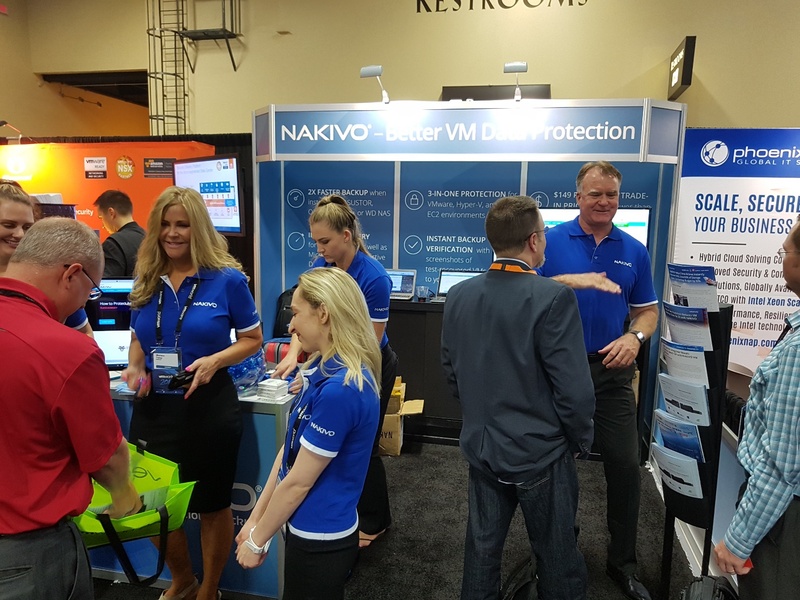 NAKIVO Visited VMworld US 2017: It Was a Hit! 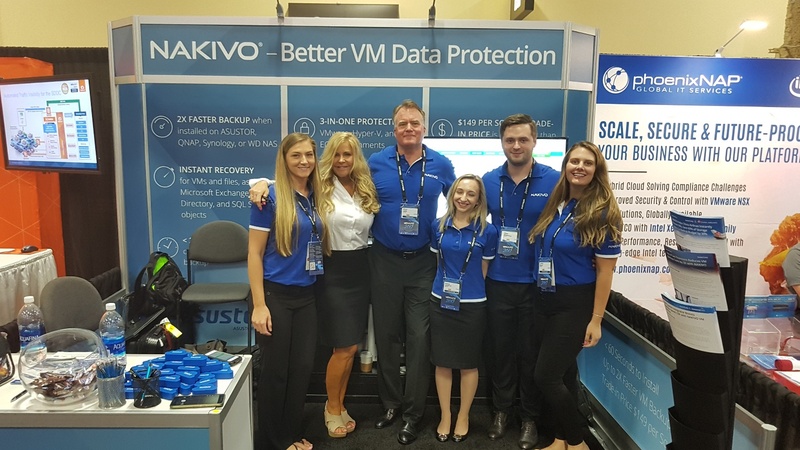 NAKIVO Blog > NAKIVO Backup & Replication > NAKIVO at VMworld US 2017: How Was It? NAKIVO at VMworld US 2017: How Was It? 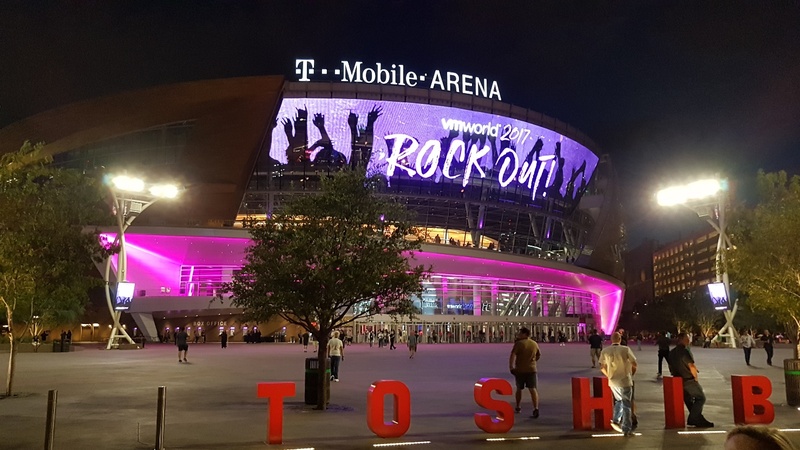 VMworld US 2017 held in Las Vegas is over, and it’s time we share our impressions with you! It was a tremendous show. It brought together the industry’s top thought leaders, experts, and IT professionals from around the globe. Five days, plenty of meetings, hundreds of informative sessions, workshops, and discussions flashed by in the blink of an eye. 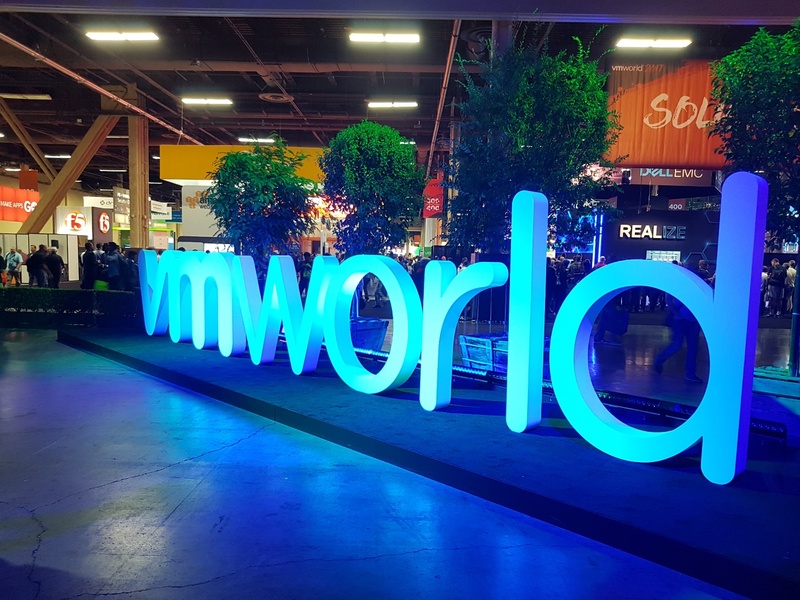 At VMworld US, we presented the new NAKIVO Backup & Replication v7.2 and performed more than 100 demonstrations of its new features and its simplicity to the attendees of our booth. As a result of our meetings and demonstrations, we collected a great number of contacts of new prospects, who expressed their great interest in our software. 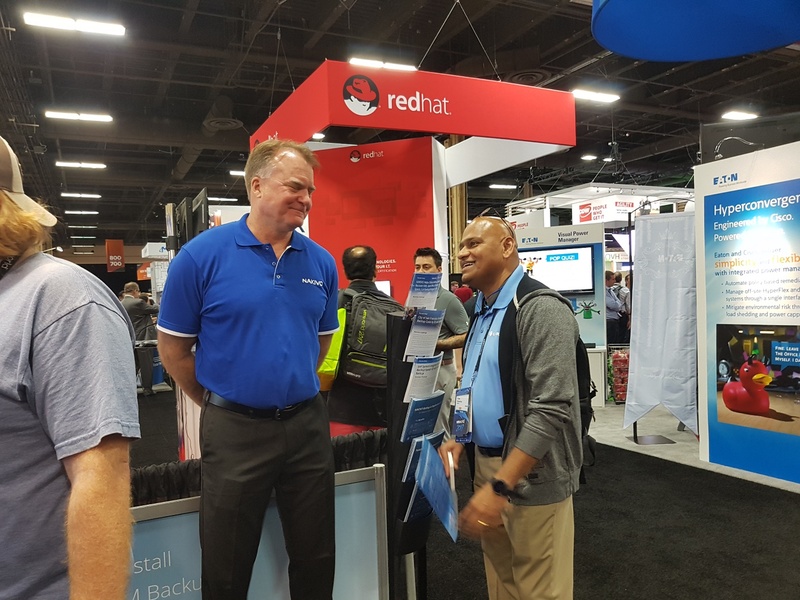 It was also great to see so many partners and customers to stop by and express their gratitude to NAKIVO for the software that changed the way they protect their valuable virtualized data. All in all, we had a wonderful time at the most important event of the year. We also attended booths of many other industry representatives, each presenting their own piece of technology, to exchange experience, ideas, and insights on virtualization and data protection. So, we are excited with the results and are busy with preparations for the upcoming VMworld 2017 Europe, which will be held in Barcelona. We, at NAKIVO, hope to see you there too at booth #E528!